What in the world are we doing at Menokin? We’d like to thank Inigo Howlett, the Northern Neck correspondent for Community Idea Station WCVE for paying a visit to Menokin to learn more our Ghost Structure Workshop that took place in May. Listen to it now online. Search “Ghost Structure” on the blog to find related stories and to see more photos. 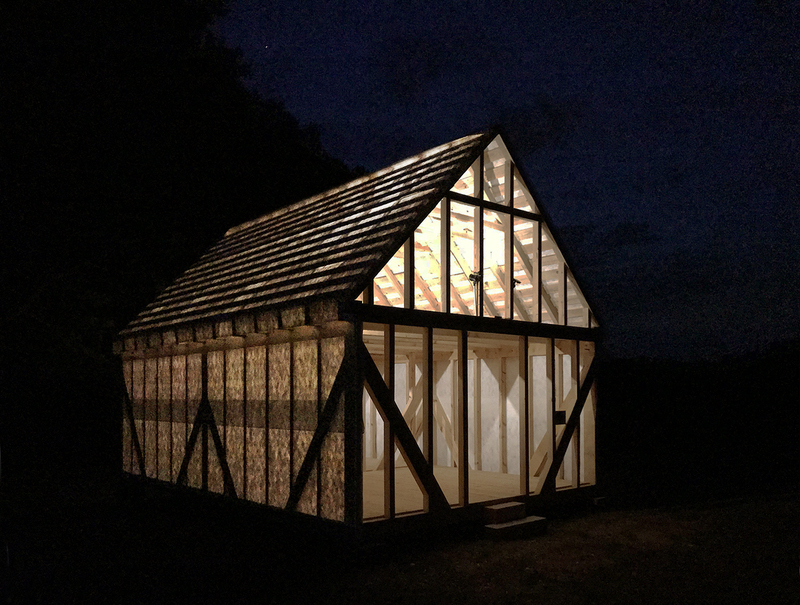 Visit our website to learn more about the Menokin Glass House Project and the important, innovative work taking place here. Come for a visit, take part in a program, or go for a paddle on Cat Point Creek. If you like what you see, hear, experience, learn…make a donation! 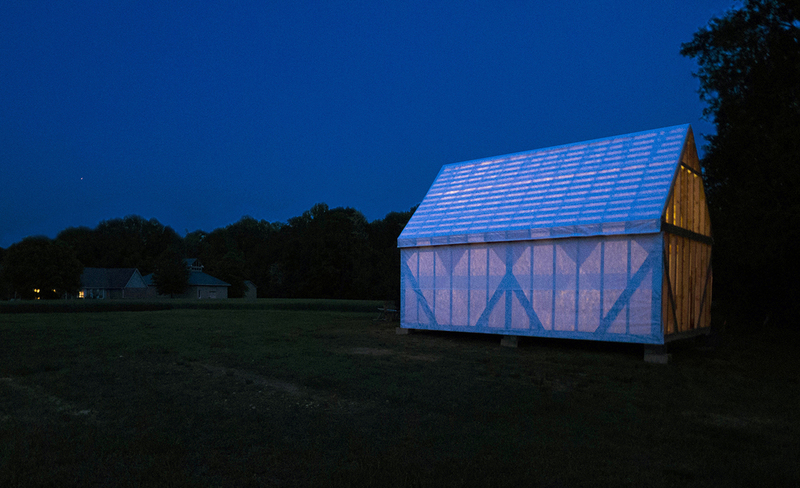 Here are some pictures of the completed, glowing Ghost Structure on the Menokin landscape. We have your day planned for you on Thursday, May 18th. Archaeology and stabilization work on the SE corner of the house will resume, and a Hard Hat Tour will start at 2:00. Hang around after your tour for the Menokin Speaker Series from 4:00 to 6:00 in the Visitor’s Center. Scott Strickland will be speaking on the Indigenous Cultural Landscape survey that was completed in 2016. 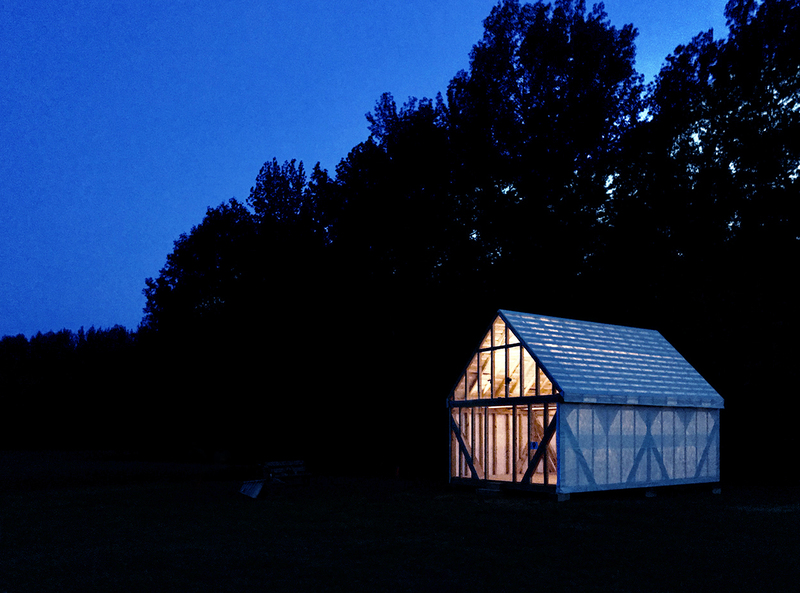 After the lecture, head on over to Relish in Warsaw for dinner and a Glass House Special cocktail. Relish will donate $5 to Menokin for every one sold. 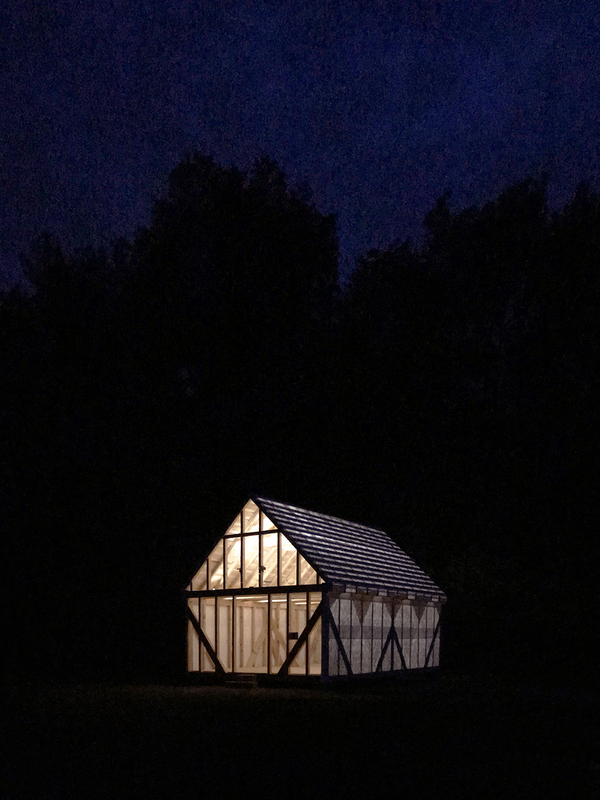 Originally prepared in October 2012 and revised in November of 2013, this research conducted and prepared by C. Allan Brown is part of the The Menokin Glass House Project. The report will be shared in a serial fashion with the intention of a weekly post as time allows. The earliest documented European settlement in the locality of Menokin occurred about 1650 with a patent of land on the Rappahannock River, at the mouth of Rappahannock Creek, by Moore Fauntleroy (Fig. 10).Colonial authorities had not officially allowed settlement of the Northern Neck until 1649. Fauntleroy’s initial plantation (south of the creek) was named Mangorite, evidently another phonetic transliteration of an Indian word (“Mangorike [sic] Marsh” is along the north bank of the Rappahannock River, near the Sabine Hall lowlands). North of the creek, a substantial brick house, quite like Sabine Hall, was built c. 1740 by his descendant, William Fauntleroy, near present Naylor’s Beach. That house was situated so near the shoreline that, by 1905, it was reported that “the waves of the river . . . have undermined the bank at the rear of the garden and invaded the family burial-ground.” Soon after, the house itself was demolished. A little farther inland, Capt. Henry Fleete patented 750 acres in 1652 on the west shore of Menokin Bay. His patent noted that Fleete’s property was situated “southwest of the Great Rappahannock town where the Indians are at present seated 2 miles up Fleets Creek” (i.e., two miles upstream from the confluence of Rappahannock Creek and Rappahannock River). “Southwest of” evidently was meant to imply that the creek was between Fleete’s property and the Indian town. Six years later, John Stephens patented the Menokin property (originally 1000 acres) directly across the bay from Fleete’s land on 13 March 1657/58, however Stephens may not then have occupied the land. His will written three years later, before embarking on a return visit to England, referred to the “one thousand acres of land lying on Rappae: Creek on ye same side ye Indians liveth on….” Thus it appears from multiple sources that in the mid-17th century, the Rappahannocks were residing on the east bank of Menokin Bay, not on the western shore as has been suggested by some recent writers. 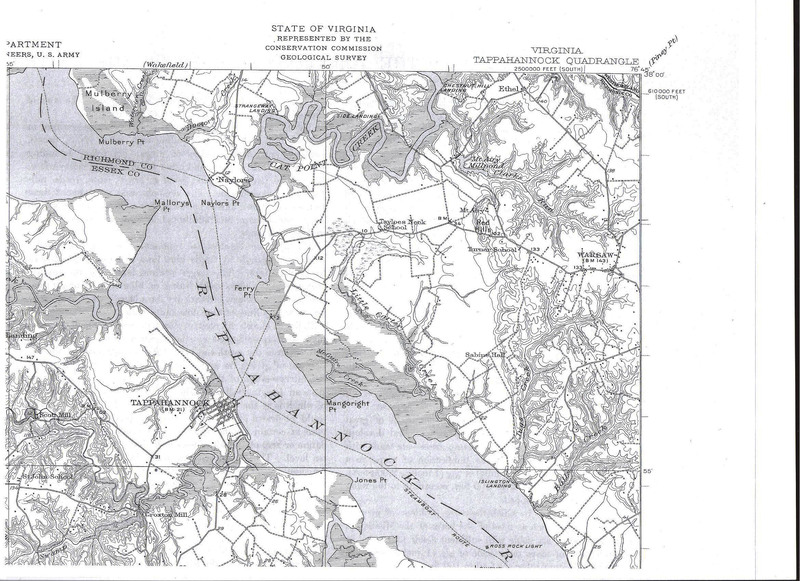 In the 1960s, local historian Thomas Hoskins Warner who also was a professional surveyor, determined that a Rappahannock town had been situated “on the northeast side of Rappahannock Creek (Cat Point) about two miles above its mouth and less than a mile above the point where Menokin Swamp flows into the creek.” He surmised that the town had been sited there for defensive purposes and for observation of rivercraft: “Back of it was a high hill, from the summit of which a man might see down the creek almost to the river.” Although authorities on regional Indian cultures indicate that such towns often were built on high ground, Warner suggested that the town at or near Menokin was not on the uppermost plateau. 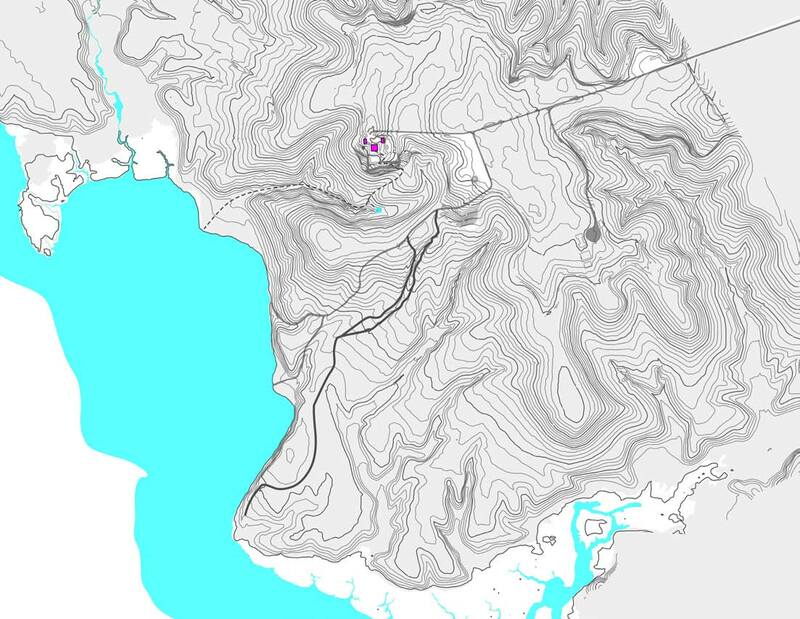 As a surveyor, Warner gave its precise location as latitude 380 0’ 15” and longitude 760 48’ 50”, but that position may not now allow for a subsequent slight shift in magnetic declination. Warner also made an observation of an “Indian relic” on the “north slope” (possibly on Menokin Foundation property) that he claimed “has aroused keenest interest.” He described it in some detail as the “remains of a circular stone wall,” about 30 feet in diameter, “no doubt one of the last existing monuments of a long departed race.” (It is presently unknown if that feature survives.) He further noted that early records refer to Cat Point Creek as “Indian Creek” or “Great Hunting Creek” and Menokin Run as “Little Hunting Creek,” but I have not verified those names. If Warner was correct in his assertions, then it appears that the Rappahannock Indian presence on the Menokin property was quite significant. Moore Fauntleroy (1610-1663), from Craundall, Southampton, England had arrived in Virginia about 1643, according to a monument erected on that property by a descendant in 1927. See Sanford and Klein, “Archaeological Assessment,” pp. 100-101; Robert R. Harper, Richmond County, Virginia, 1692-1992: A Tricentennial Portrait (Alexandria, Virginia, 1992), p. 34. See James Horn, Adapting to a New World: English Society in the Seventeenth-Century Chesapeake (Chapel Hill, 1994) pp. 161-164, 175; Jean B. Russo, Planting an Empire: The Early Chesapeake in British North America (Baltimore, 2012). George W. Beale, “Naylor’s Hole: Ancient Seat of the Fauntleroy Family in Richmond County,” Richmond Times-Dispatch, 2 July 1905. Virginia Land Office Patent Book 3, p. 97 (1 August 1652). Ibid. For further relevant information regarding the Indian town, see Virginia Land Office Patent Book 3, p. 73; 4, p. 235; Northern Neck Grant Book 1, p. 134. See also (old) Rappahannock County Deed Book 2, pp. 39-40, 135. Virginia Land Office Patent Book 4, p. 303; Northern Neck Grant Book 1, p. 135 (18 March 1691/92). For further confirmation of the location of this land, see Virginia Land Office Patent Book 5, p. 198; 6, p. 77. (Old) Rappahannock County Will Book 2, part 1, pp. 66-68 (5 March 1660/61); the will was proved 6 February 1677/78. See also Northern Neck Grant Book 1, p. 137. Warner, Old Rappahannock, p. 36. According to Helen C. Rountree, they “preferred to locate settlements on high ground overlooking the water, so that everything and everyone approaching the town could be seen;” Powhatan, p. 58. Warner, Old Rappahannock, p. 37. Ibid. The circular dancing-ground/prayer-plot depicted by John White in his famous painting of the Indian town of Secota, was about that size; see c. 1620 DeBry engraving of that painting, in Rountree, Powhatan, p. 59. Warner, Old Rappahannock, pp. 170-171. The objective of this report is to provide an explication of how the landscape of Menokin has functioned historically as a setting for human habitation. The focus is “cultural” usages and meanings rather than “natural” conditions as wildlife habitat. To borrow the terminology of anthropological studies, the analysis centers on an examination of human pathways (movement through space in time) and activity areas (utilization of space in time). Eighteenth-century plantations in America were complex agricultural-production systems. Their organization reflected societal and individual attitudes. In the most refined examples, such as Menokin represents, they were also expressions of aesthetic and associational values. 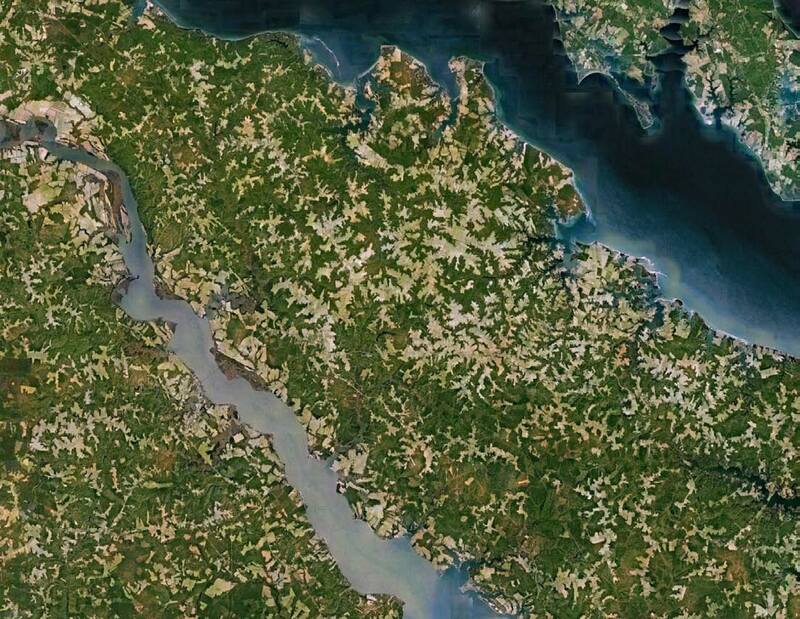 Perhaps the most distinctive quality of the natural landscape of Virginia’s Northern Neck, the broader geographic setting between the Potomac and Rappahannock rivers, is the pattern of irregularly-shaped, small plateaus encompassed by shallow escarpments that occasionally approach true “cliffs” in character. In the vicinity of Menokin, the level (or nearly level) upper plateaus are typically quite modest in extent. By contrast, the tidewater landscape farther down the peninsula (as also along the lower James and York rivers) is usually flatter and more broadly expansive. Land, sea and sky begin to merge there. But in Menokin’s locale, discrete elevated pockets of land have been carved by numerous interconnected rivulets. The resulting dendritic pattern is clearly visible in satellite imagery of the immediate region (Fig. 1). The generally wooded condition of the surrounding ravines has created nearly continuous bands of foliage that envelope each enclave. The density and verticality of the trees define compact spatial edges and frequently also limit long-distance views. Upon each plateau itself there is a prevailing sense of containment and seclusion. Those particular qualities also make the Menokin landscape quite different from the continuously rolling topography of the piedmont to the west, where the ground levels (and perspectives) constantly vary, and mountains are always on the horizon. It is evident that the natural landscape of Menokin (Fig. 2) has had significant implications for the development of its cultural landscapes. Menokin plantation takes its name from references to the Indian word associated with the stream which bounds the property along the southeast. As early as 1657/58 the name “Manakin” appears in local records in relation to that “Creek” or “Run” or “Swamp.” (An upper branch sometimes was called “Muddy Run”; in recent years, the latter name also has been applied to the entire stream.) The current spelling of Menokin only became standard in the late 18th Century with the Lee family tenure. Prior to that, numerous transliterated variations may be found, ranging widely from “Monoaton” to “Monocon” to “Manoikin.” Mary R. Miller, in her very useful study of Place-Names of the Northern Neck of Virginia (1983), in attempting to distinguish between the variant spellings, nevertheless made some significant errors which have produced subsequent confusion. It does appear however that the similar place-names of “Monascon,” “Monaskan” or “Menaskant” (thought to be a shortened form of “Monasukapanough”) identify an entirely separate locality on the border of present Richmond and Lancaster counties. The Algonquian meaning of “Menokin” is unknown today, according to most authorities on American Indian cultures. Variations of that place-name today appear throughout the eastern seaboard. As unlikely as it may seem, modern authorities also believe that the Algonquian word bears no relation to the Monacan Indians who inhabited the upper James River region during the contact era, yet who spoke a separate Siouan language. (Thus the similar name of the Huguenot settlement of “Manakin,” established in 1699 in what became Powhatan County near an abandoned Monacan Indian town, is considered to be merely coincidental.) It also should be mentioned that there was a “Manoakin” on the Eastern Shore of the Chesapeake Bay as early as 1663. Clifford C. Presnall’s article on “The Menokin Mystery” in the Northern Neck of Virginia Historical Magazine (pp. 3020-3022) attempted to address the matter but ultimately circulated further misinformation. main travel artery of the Rappahannock River (Fig. 3) was recognized as being highly suitable for occupation even in the prehistoric era. 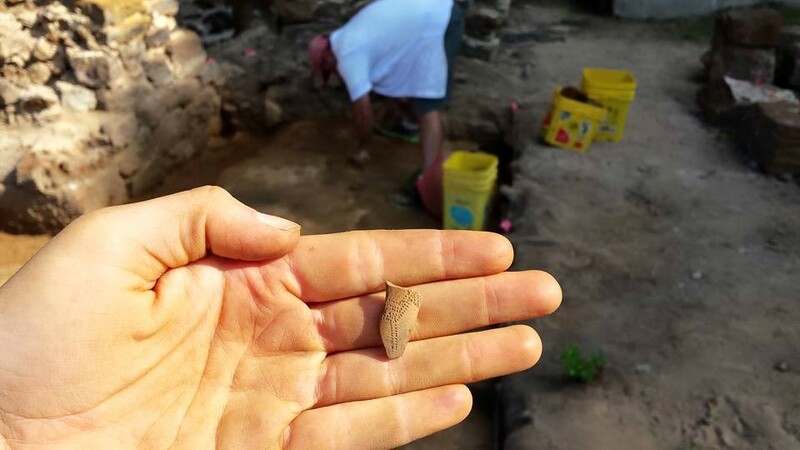 An abundance of early artifacts (stone flakes, pottery shards and fire-cracked rock) have been recorded by archaeologists investigating the plateau near the house ruins (Fig. 4). By the contact era with Europeans, the vicinity was occupied by the Rappahannock Indians (who evidently had resided in the broader region since about 1300 C.E.). The locality’s association with them is reflected in the site’s long-standing place names. Indeed, Capt. 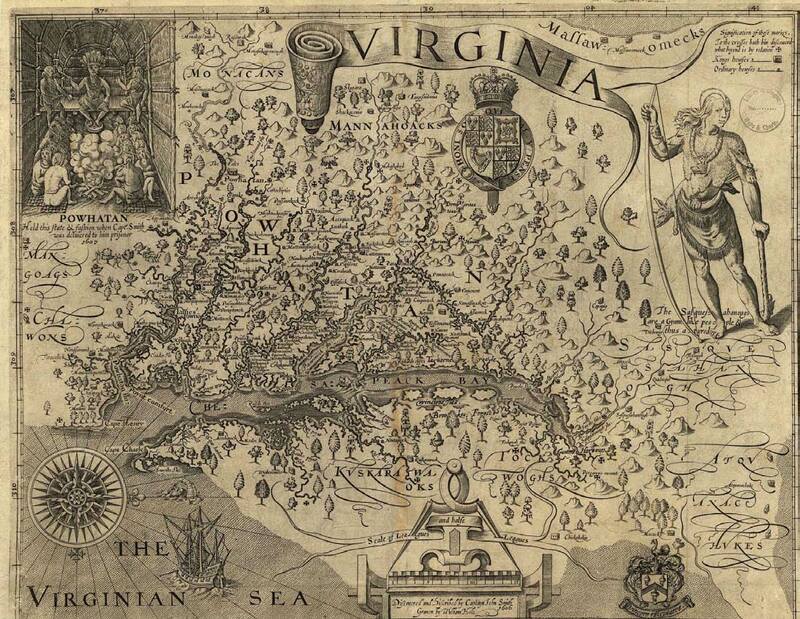 John Smith’s 1612 map of Virginia appears to locate the principal seat of the Rappahannocks (“Toppahanock”) in the general Menokin neighborhood (Fig. 5). He reportedly first encountered them in December 1607 and then again in July 1608 (Fig. 6). chief “town of the Great Rappahannocks” was situated along the southern edge of what became the Menokin estate (Fig. 7). The particular promontory that he identified is one of the first to be encountered upstream along Rappahannock Creek and is slightly secluded yet affords a clear view to allow monitoring of movement on the nearby river. It would seem to be an ideal defensive position. 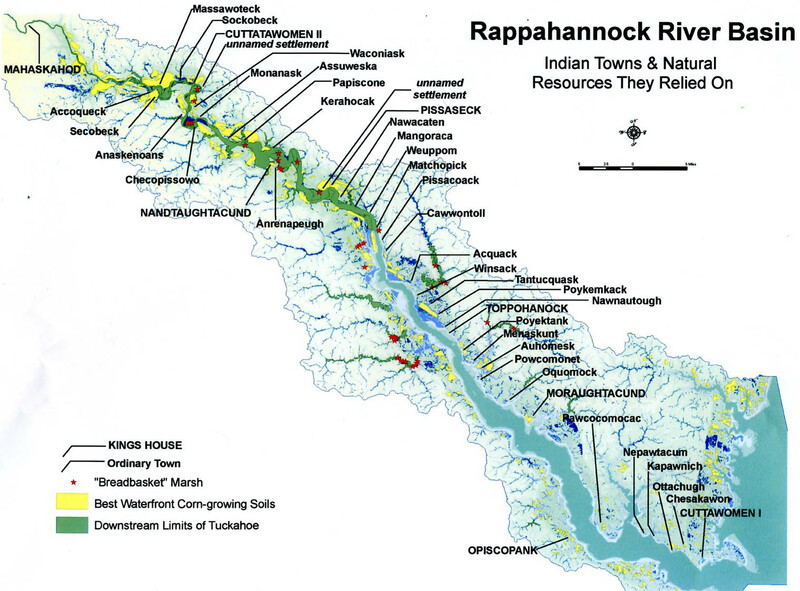 However, there appears to be disagreement among historians; a recent map of “Indians Towns” along the Rappahannock River (Fig. 8) does not include the Menokin location. (In any case, compare the apparent discrepancies among the relative locations of “Toppahanock,” “Acquack” and “Nomanye”/”Nawmanay,” known today as “Nomini”.) This important subject needs to be more fully investigated in consultation with experts on Virginia’s indigenous people. Future archaeological excavations may clarify the matter. For the broader physical context, see John R. Wennersten, The Chesapeake: An Environmental Biography (Baltimore, 2000); Philip D. Curtin, Grace S. Brush and George W. Fisher, Discovering the Chesapeake: The History of an Ecosystem (Baltimore, 2001). See Mary R. Miller, Place-Names of the Northern Neck of Virginia (Richmond, 1983), pp. 93, 97, 98, 101. See William Bright, Native American Placenames of the United States (Norman, OK, 2004), pp. 263, 278, 294. See Jeffrey L. Hantman, “Between Powhatan and Quirank: Reconstructing Monacan Culture and History in the Context of Jamestown,” American Anthropologist v. 92 (1990), pp. 676-690; Karenne Wood and Diane Shields, The Monacan Indians: Our Story (2000); Dennis B. Blanton and Julia A. King, eds., Indian and European Contact in Context: The Mid-Atlantic Region (Gainesville, FL, 2004), esp. pp. 22-26. See Virginia Magazine of History and Biography v. 19 (1911), pp. 173-180. Although the earliest documented name for the stream known today as Cat Point Creek is “Fleet’s Creek” (see Henry Fleete’s patent of 750 acres along that stream, dated 1 August 1652; Virginia Land Office Patent Book 3, p. 97), within a few years it was consistently known as “Rappahannock Creek” (see John Stephens’ patent of the original 1000 acres of the Menokin property, dated 13 March 1657/58; ibid., 4: 303). The name “Cat Point Creek” came into common usage only beginning in the nineteenth century. However “Cat Point, Rappahannock Creek” was familiarly known by the mid-eighteenth century; see, e.g., Virginia Gazette (Purdie& Dixon), 3 September 1772. The earliest record of “Catt [sic] Point” that I have seen dates to 5 February 1706; see Richmond County Deed Book 4, pp. 92a-93. There was a ferry across Rappahannock Creek situated at that location as early as 1686. John Stephens’ original 1000-acre patent of the Menokin property, on 13 March 1657/58, situates it as “upon Rappahannock River or Creek opposite to the land of Colo. Henry Fleete, bounding southwesterly upon the said creek which divides this land from the said Colo. Fleete’s land, southeasterly upon Manakin [sic] Creek being a branch of the said Rappahannock Creek;” Virginia Land Office Patent Book 4, p. 303. See also Camille Wells, “Menokin in Time: A Documentary Research Report” (1997) prepared for the Menokin Foundation; it is the most comprehensive history of the site that has been produced. See Thane H. Harpole, David A. Brown and Meredith Mahoney, “An Archaeological Survey of Menokin, Site 44RD35, Richmond County, Virginia” (June 2008), esp. figs. 2, 3, 10 and 23; Deanna Beacham, “Examples of Indigenous Cultural Landscapes in Virginia” (2011), pp. 15-17. U.S. Fish and Wildlife Service, “Rappahannock River Valley National Wildlife Refuge: Comprehensive Conservation Plan” (December 2009), section 3-6. See, also, James D. Rice, Nature and History in the Potomac Country: From Hunter-Gatherers to the Age of Jefferson (Baltimore, 2009); Edward DuBois Ragan, “Where the Water Ebbs and Flows: Place and Self Among the Rappahannock People, from the Emergence of their Community to its Seclusion in 1706” (PhD diss., Syracuse University, 2005); Stephen R. Potter, Commoners, Tribute, and Chiefs: The Development of Algonquian Culture in the Potomac Valley (Charlottesville, 1993). See Edward W. Haile, Virginia Discovered and Discribed [sic] by Captayn [sic] John Smith 1608 (Champlain, Virginia, 1995); Philip L. Barbour, ed., The Complete Works of Captain John Smith (1580-1631), 3 vols. (Chapel Hill, 1986). See, also, Helen C. Rountree, Wayne E. Clark, Kent Mountford, and Michael B. Barber, John Smith’s Chesapeake Voyages, 1607-1609 (Charlottesville, 2007); Susan Schmidt, Landfall Along the Chesapeake: In the Wake of Captain John Smith (Baltimore, 2006). Stevan C. Pullins, “A Phase II Archaeological Evaluation of Site 44RD50 Associated with the Proposed Route 3 Project, Richmond and Westmoreland Counties, Virginia” (August 1992), p. 10. Note that elsewhere in that report (p. 9) the adjective “great” shifts place, modifying “town” (i.e., “Great Town of the Rappahannocks”). There is also a reference to a Rappahannock town along Rappahannock Creek (“Fleet’s Creek”) in a patent dated 8 October 1657: Virginia Land Office Patent Book 4, p. 185. Curiously, Wells’ comprehensive 1997 research report (“Menokin in Time,” op. cit.) makes no mention of Pullins’ 1992 report. See, also, Helen C. Rountree, Pocahontas’s People: The Powhatan Indians of Virginia through Four Centuries (Norman, Oklahoma, 1990), p. 118. Capt. Henry Fleete’s 1652 patent of land southwest of the present Menokin property was situated on the “north side of Rappahannock River, southwest of Great Rappahannock town where the Indians are at present seated 2 miles up Fleet’s Creek [i.e., Rappahannock or Cat Point Creek]” Virginia Land Office Patent Book 3, p. 97. See, also, Pullins, “Phase II Archaeological Evaluation,” pp. 11-12. John Stephens’ will, dated 5 March 1661, bequeathed the 1,000 acres of the Menokin property, “lying on Raa’ok. Creek, on the same side the Indians liveth on as per patent… ;” (Old) Rappahannock County Deed and Will Book, 1677-1682, Part I, pp. 66-68. See, also, Thomas Hoskins Warner, History of Old Rappahannock County, Virginia, 1656- 1692 (Tappahannock, 1965), pp. 36-37. It seems that the promontory has not been physically investigated by archaeologists; it was not examined during the survey conducted in 2008 by DATA Investigations, LLC. Aerial photographs indicate that as late as about 1950, that area of the plateau was open (now wooded). See, also, Douglas W. Sanford and Michael J. Klein, “An Archaeological Assessment of Richmond County, Virginia” (February 1994), pp. 91-95, 100. Not far from the Mount Airy millpond, a Rappahannock ossuary, dating from c. 1630-1660, was excavated just south of the Menokin property; see Potter, Commoners, Tribute and Chiefs, pp. 218-220. Figure 9 (uncredited) was found in the files of the Menokin Foundation. 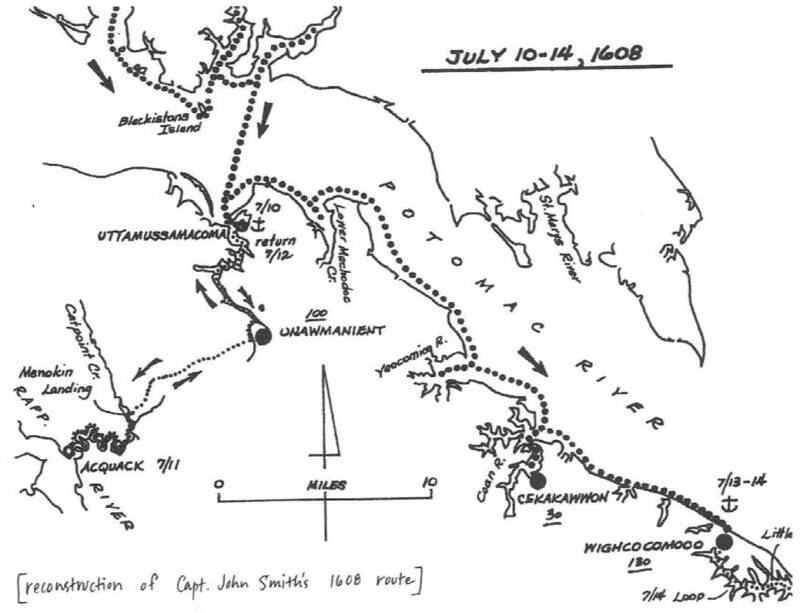 It may be related to the “Captain John Smith Chesapeake National Historic Trail” project. Also, Figure 6? For the uncertainty today of actual locations of the Indian towns, see Rountree, Powhatan, p. 12; Blanton & King, Contact, pp. 62-64, 69, 71. 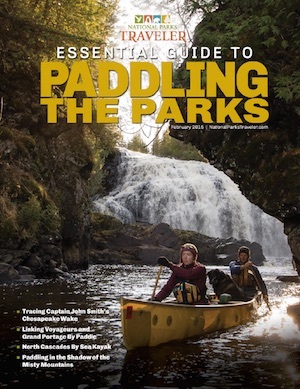 The 2nd Annual Essential Paddling Guide to the National Parks helps you choose where in the National Park System to raft, canoe, kayak, and even SUP. Includes Menokin and Cat Point Creek! 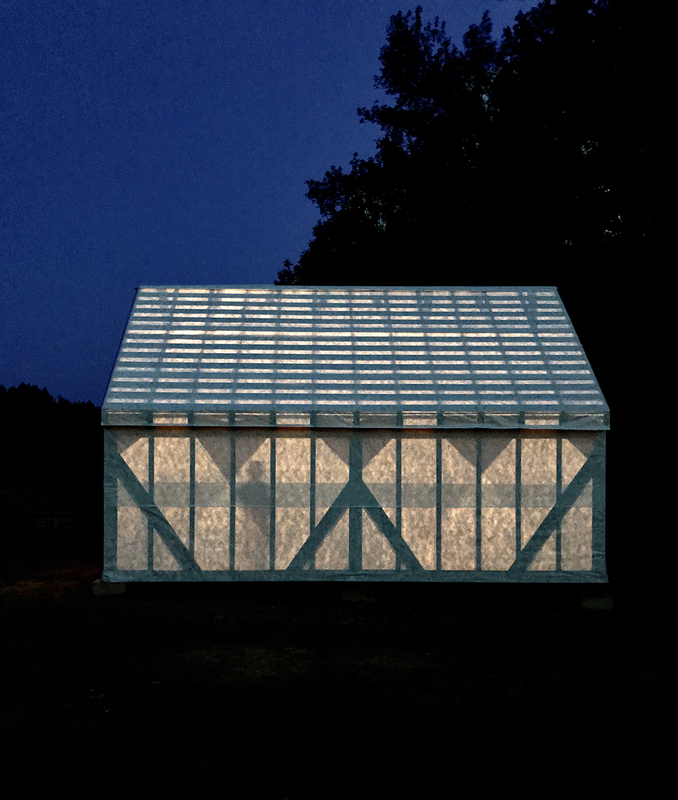 Menokin is devoted to the promotion and development of historic sites across Virginia, using The Glass House Project as a model for innovative historic preservation and interpretation. # Menokin’s $500,000 grant from the @nehgov is a 3:1 challenge, which seeks to leverage federal funds against private investment. It requires Menokin to raise $1.5 million over the next four years. These funds will ensure the stabilization of the remaining portions of the 18th century structure. # Will you #RiseToTheChallenge? Click the link in our bio to learn more about our #RaiseTheGlass campaign! Partnerships with regional institutions of higher education are integral to Menokin's commitment to the humanities. 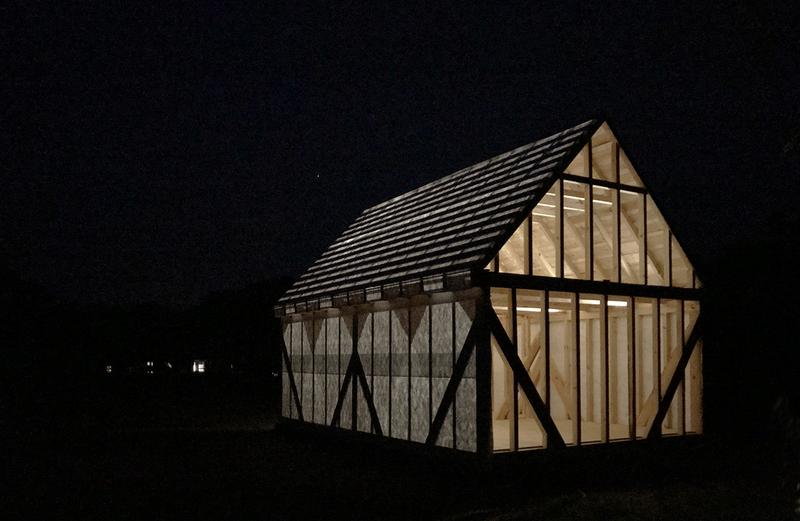 The completion of the Glass House Project will strengthen our partnerships and outreach. Menokin's $500,000 grant from the National Endowment for the Humanities is a 3:1 challenge, which seeks to leverage federal funds against private investment. It requires Menokin to raise $1.5 million over the next four years. These funds Will ensure the stabilization of the remaining portions of the 18th century structure. Will you #RiseToTheChallenge? Click the link in our bio to learn more!